The Scoop: Many of us underestimate the power of Microsoft Paint. It just takes a little bit of imagination and a few tricks here and there and you will be able to accomplish the impossible in MS Paint. Just check out how this amazing grandmother uses Microsoft Paint! With so many sophisticated graphics software available on the internet nowadays, there is little to no reason that you still use Microsoft Paint. However, despite the humble capabilities of this basic paint tool, when used well, you will be able to unlock more of the benefits that it can give. Don’t believe me? Just watch how Concha García Zaera, an 87-year-old woman who went viral due to her impressive and picturesque works on social media. 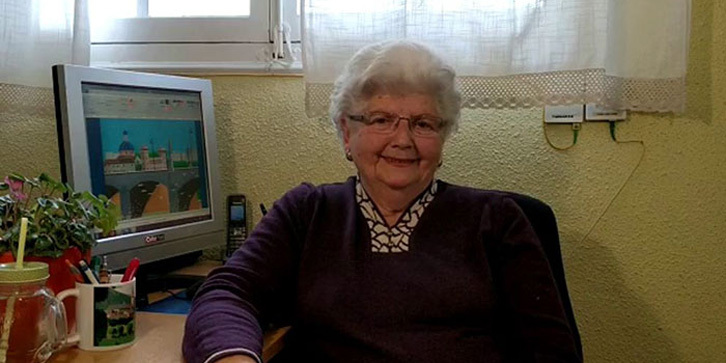 You might think that amazing artwork only comes from latest software programs but think again because this grandmother is known for making beautiful art through Microsoft paint. Here are some of her works posted on her Instagram @conchagzaera. Photoshop, Microsoft Paint, Corel or whatever kind of graphics software you are using doesn’t matter. Furthermore, despite what other people also declare, Microsoft Paint is far from dead. It depends on the art style of people on where and what platform they shine the most. Digital or Traditional. MS Paint or Illustrator. It all varies. Additionally, it all boils down to passion, patience, and effort. Therefore, when you really want to do something, it doesn’t matter what software or what other tools you use. Just as long as you love what you are doing and you find peace and solace there. So when was the last time you used Microsoft Paint? Like this article? Read up for more here!